Baelborne Rock is a ruined fort in southern Glenumbra, just northeast of Daggerfall. 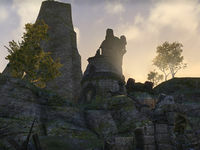 Baelborne Rock Objective: Discover the secret of Baelborne Rock. 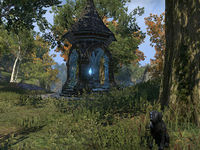 Baelborne Rock Wayshrine is located beside the river south of the ruins, just east of the Daggerfall gates and Ilessan Tower.